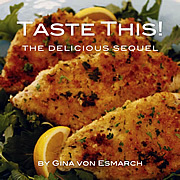 Published on April 22, 2012 in Recipes. 1 Comment Tags: @Madge707, Blueberry Chocolate Mint Jam, Blueberry Jam, Blueberry Lemon Balm Jam, Blueberry Lemon Verbena Jam, Blueberry Lime Jam, Blueberry Pineapple Mint Jam, Intro to Canning- Ball, Madge Miller. While I *wish* I could take credit for this lovely post, the only thing I can claim is that I was lucky enough to enjoy this jamified treat. Today our guest post is from my dear friend, Madge Miller. Over the years, Madge and I have shared many a chat about jams, adult beverages and dishes we love to eat. 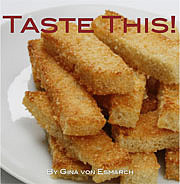 We have a kindred foodie spirit. Thank you Madge for sharing your coveted recipe. Have you ever looked at an upcoming project or task on your to do list and thought, “How could I put this off just a little longer?” My friends I have the answer for you, Jamming! The art of procrastination is all about creating productive tasks that give tangible results, yet at the very same time, allow you to put off something else. Sneaky isn’t it? I would like to introduce you to my best weapon in the war against check marks on the to do list – Blueberry Jam. A few safety cautions before we begin, because what good is procrastination without a little danger to add some spice? Check out the IntroToCanning for a complete list. -Always use jars and lids approved for home canning use. -If the jar doesn’t seal properly, refrigerate immediately and eat within a month. Prep the jars and lids for canning following the procedures for boiling water canning. Place lids in a small saucepan half full of water and place on low heat. Put the metal rack in the bottom of the stock pot or boiling water canner. If using screw bands, place them top up in the bottom. The purpose of the rack is to keep the jars from direct contact with the heated metal at the bottom of the pot, which could cause them to scorch or break. Place your clean jars into the canner and fill the container (and jars) half full of water. Turn on the stove to medium heat. 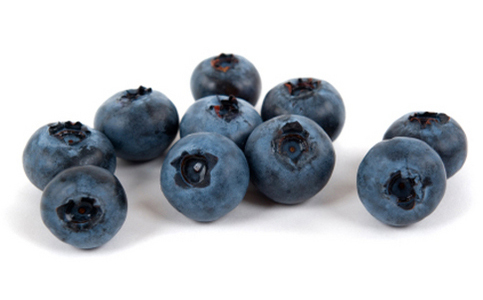 Gently clean the blueberries by placing them on a clean, damp paper towel and rolling them back and forth. Pick out any that look shriveled or past their prime. Do this in small batches. Blueberries are easily bruised so this is the safest cleaning method. Crush the blueberries using a potato masher or a fork. The result should measure approximately 4 ½ cups total. In the large non-reactive saucepan combine the berries and 4 TBS of lemon juice. (Note: The following directions are used if you are using Pomona’s Universal Pectin. If not, follow the directions in your package. For those that are limited on sugar, Pomona’s also offers directions for the use of sugar alternatives. If that is your preference follow the directions in the package for the preferred sweetener.) Add 2 tsps calcium water to the saucepan and stir. Measure 2 ¾ cups of sugar into a separate bowl. To this add 2 tsps of pectin powder and mix well. Do not reduce the amount of sugar called for by the directions in the box of pectin or the end result will be watery fruit, not jam. Bring to a boil over high heat, stirring frequently. Add the pectin-sugar mixture and stir vigorously for 1-2 minutes while cooking to dissolve the pectin. Return to a boil and then remove from the heat. 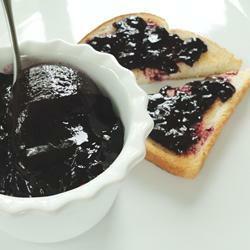 To create a variation of basic Blueberry Jam you can infuse it with herbs, like you would a tea. My favorite is Blueberry Chocolate Mint Jam. Once all the steps above are completed and have taken it off the heat, add three to four eight inch long sprigs of Chocolate Mint (other possible substitutes are Lemon Balm, Lemon Verbena, or another type of Mint) and allow to steep. Stir and taste the mixture after 1 minute (make sure to blow on the spoon to avoid burn your mouth) to determine if you like the flavor. 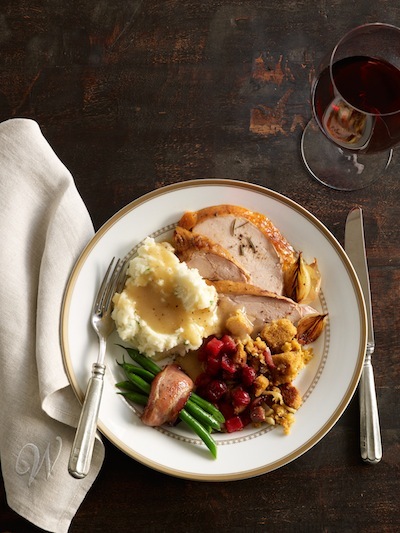 Keep in mind that the flavor will be milder once it cools, so consider making the flavor slightly stronger. Keep steeping until the desired flavor is achieved, then remove the herbs – tongs are very useful to find all those pesky sprigs. Remove a jar from the boiling water canner, by this point the water in the canner should be pretty hot so use the jar lifter. DON’T put the jar directly on the counter as the change in temperature between the oven and the counter will cause the jars to break. It is best to place the jars either on a folded kitchen towel or a wooden surface. Fill each jar to within a quarter inch (1/4) inch of the top. The easiest way to do this is with a funnel. Creating proper headspace in each jar is essential to achieving a proper seal and being able to safely store your jam. This is where the clear plastic ruler comes in handy. Clean the rim of the jar with a damp paper towel to make sure there’s no stray jam to interfere with the seal. Cap the jar with your lid from the saucepan that’s on low heat and tighten the screw band until it is fingertip tight. Place the jar back into the boiling water canner using your jar lifter. Once all your jars are filled, make sure they are completely covered with water (you may have to add a bit of additional water to the canner). Bring the water to a boil and then set your timer for 10 minutes. (Add 1 minute onto this time for each 1,000 ft above sea level.) When the timer goes off, remove the canner lid and wait 5 minutes. Why 5 minutes? If you don’t wait a few minutes the jostling of removing them from the canner could keep the jars from sealing. Another important tip is to remember to keep your jars upright as you remove them, titling to the side can also interfere with the seal. There’s nothing more satisfying than hearing “POP!” from across the room and knowing your jars are sealing, but you can’t sit around for a whole day for that sound. In 24 hours go back and check all your jars. If you push down on the top and the lid gives, you didn’t get a solid seal. Immediately refrigerate or reprocess that jar. I usually take it one step further by taking off the screw band and holding the jar up by just its lid (with the other hand ready to catch, of course). If the lid doesn’t spring up and I can hold it up by just the edges of the metal lid, it’s got a nice seal. A few other variations of this jam that I’ve sampled from Madge’s Pantry (and LOVE) are her Blueberry Lime Jam and Blueberry Pineapple Mint Jam. She is a jamming genius!